Kate Rorick is a writer for The Lizzie Bennet Diaries. She has written for a variety of television shows, including Law and Order: Criminal Intent and Terra Nova. In her spare time, she is the bestselling author of historical romance novels under the name Kate Noble. Rorick is a graduate of Syracuse University and lives in Los Angeles. "Offers a fresh take on Pride and Prejudice—without ruining it. . . . [Lizzie's] voice is reminiscent of the sort of wry sarcasm that made Daria so appealing." "Jane Austen would, like, totally approve"
"Fantastic. . . . This book hits all the high points of Austen’s most famous novel in satisfying ways (Darcy’s confession, Lydia’s bad choices), while updating it for the digital age. Though the videos are the catalyst for the novel, readers need not have viewed them to enjoy this story. Fans of the Web series and newcomers alike will be satisfied." Praise for The Lizzie Bennet Diaries: "Addictive . . . In theory, it should be terrible. In practice, it's pure genius. . . . 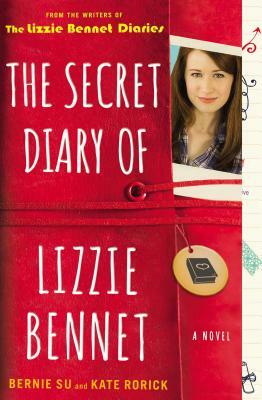 The Lizzie Bennet Diaries is faithful to the original without being slavish or full of in-jokes. It's a sharp, clever re-imagining of a novel about class, society and the things we do for love (and money). I like to think that if Austen was writing now, she might have created something very like this." "It’s AWESOME and AMAZING and WOW. . . . I loved, loved, loved this update. . . . Aside from just being a great series, and aside from showing how a retelling can be original, and aside from illustrating how an update can be faithful, The Lizzie Bennet Diaries is also an example of how story-telling evolves and how that evolution does not mean that existing methods of story-telling disappear. We live in a world where Pride and Prejudice can be a book, can be movies and musicals and TV shows, and can also be a 'video/social media' series. This retelling no more erases the Jane Austen book than an e-book means that linear storytelling and 'books' disappear and become choose-your-own-adventure/game apps." "The Lizzie Bennet Diaries finds a new way to present a 200-year-old story. . . . [It is] the quintessentially 21st-century take on Austen’s novel . . . a unique piece of interactive media that has a big heart and a lot of soul." "An impressive feat; a charming and creative twist on a familiar tale."